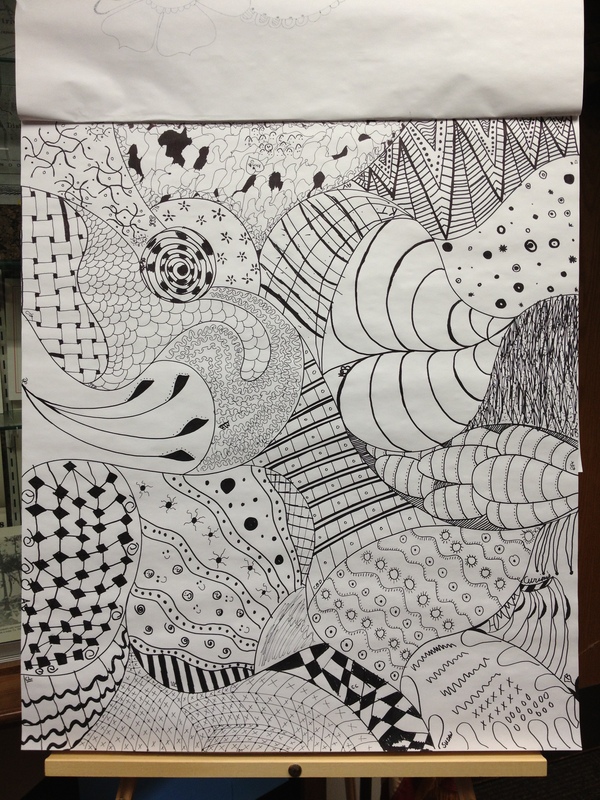 So I taught a class tonight at a local library with a friend of mine who loves to doodle too. 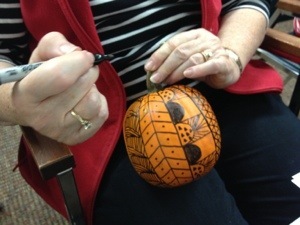 We focused the class on doodling on pumpkins. Our students did so well! We demonstrated how to go about getting certain patterns. 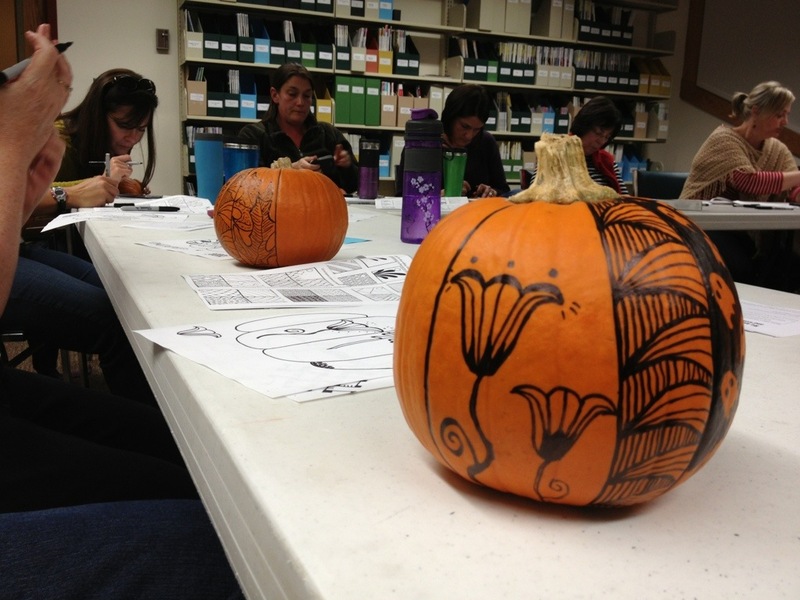 They practiced doodling on paper first, then went to the pumpkins. 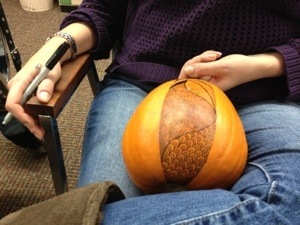 If you try this at home, just use a sharpie on the pumpkin to draw your doodles. The tip might get a bit waxy now and then. Just draw on paper until it’s clear again. I particularly enjoyed the ebb and flow of conversation and quiet that went on through the program. It’s like I could see people drifting into another world, which is my favorite thing about doodling! What have you tried doodling on besides paper? And this all brought up the thought…would you like to see some tutorials on this blog? So I helped teach this doodle art class at the library nearby and we had all the students take a section of the page and fill it in. This is the end product. Pretty cool, right?